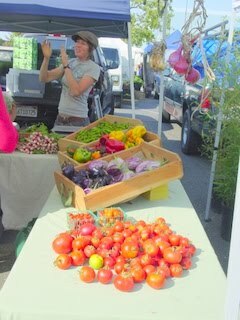 Press Democrat columnist MichelaAnna Jordan has nice things to say about the Thursday Market…especially the vendors. 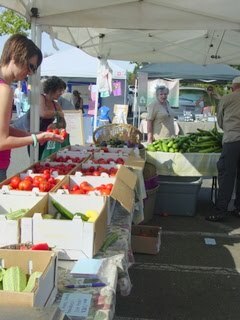 “Four vendors participate, two that offer a diverse selection of produce and two that offer fruit. 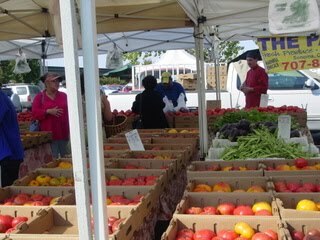 There are no crafts vendors, no prepared food vendors, no seafood, meat or poultry vendors, just delicious fresh fruits and vegetables. 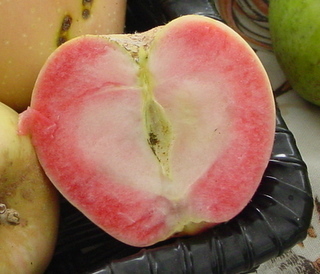 In a sense, you can say this market has been the quintessential market, delivering the farmers market vision of fresh produce in its purest form. 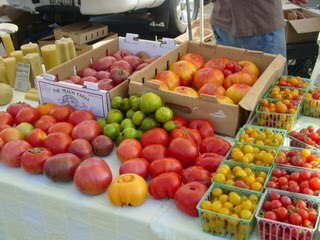 The Patch sells here and currently has a great selection of some of the best tomatoes — both heirloom and hybrid — of anyone this year, along with a rainbow of sweet peppers, zucchini, beets, green beans, onions, garlic, basil, cucumbers and potatoes. 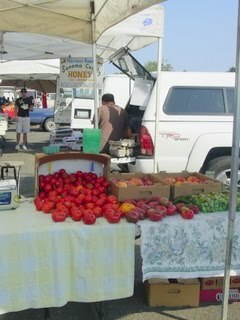 The quality of produce from this farm is reliably delicious and always well-priced. Ortiz also a reliably excellent producer, has zucchini, cabbage, radishes, onions, potatoes, cilantro, Italian parsley, squash blossoms, zucchini, a big selection of braising greens, a small selection of tomatoes, gorgeous delicious poblanos and a few other chiles and beautiful flowers, including long stalks of gladiolus and pretty sunflowers. The final cooking demonstration is Chef Elizabeth Eichhold’s Basil Zucchini Bread. Preheat oven to 350 degrees and grease & flour 2 bread pans. Combine flour, salt, baking soda, baking powder & cinnamon in a bowl. Use a wire whisk to combine. In another large bowl beat together the oil and sugar on medium speed for about 2 minutes. Add the eggs one at a time, beating well after each addition . Add vanilla, basil, walnuts and grated zucchini and mix by hand with a spatula, scraping up from the bottom of the bowl until well combined. Fill the two bread pans with the batter and bake in the oven for 50 to 60 minutes until a toothpick inserted in the center comes out clean. Let cool for about 10 minutes & turn out on a wire cooling rack. The second loaf can be frozen for later. Some variations would be to omit the basil & add 8 oz. of drained, crushed canned pineapple or 1 cup fresh diced pineapple, or 3/4 cup golden or dark raisins, or 1 tsp. powdered ginger and 1/2 tsp. cloves or 3 tbsp. peeled & diced fresh ginger. I also like the combination of fresh ginger with one or two diced pears. 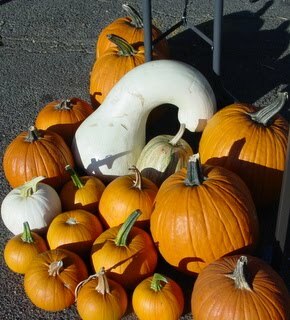 If you’re one of the many families who had traditionally gone to the Cardoza Ranch Pumpkin Farm each October, fear not. You’re ritual will not die. 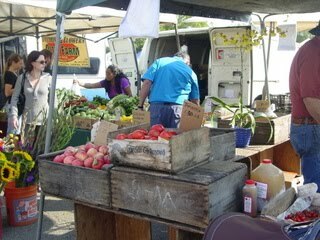 In 2005, the Cardoza family sold its 1,737-acre Petaluma ranch to the Agricultural Preservation and Open Space District. The public was thrilled to get such a beautiful piece of property which offers views from Mount. St. Helena to the San Francisco Bay. But, some of us feared that the annual autumn trek to the ranch would come to an end. Happily, the Sonoma County supervisors decided to continue the tradition. 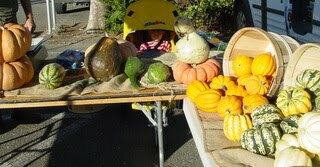 But, there have been a few changes: The pumpkins are no longer being grown at the site and are, instead, brought in. There are no inflatable bouncers for children. Many new activities have been added. “From Earth to You” hands-on children’s area with plants and animals, games and activities. Nighttime Creatures Barn with black light marine life, bats, and an elaborate life-like diorama of mammals found in the area. The Snake-Wrangling Grandma from Sonoma, Barbie Hoffman, who rescues rattlesnakes to support her exotic animal rescue, Leaping Lizard Rescue leapinglizardrescue.com. She will bring many of these live animals to show at the festival. Looking for something to do that makes you feel good inside and out? Beet Generation and Space XXV Chef John Lyle team up for good and a good time! pictured Chef Lyle and his assistant GiacomoFrom The Press Democrat’s Bite ClubCome to the first in a series of dinners called Chosen Spot. The dinners are designed to celebrateLuther Burbank through taste and place. Using fruits and vegetables developed by Burbank in historically significant spaces around the county, the dinners are six-course meals served up with a side of history. 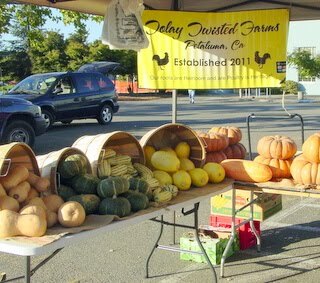 The first dinner is slated for Sept. 24 at the Crane Melon Barn in Santa Rosa — where the luscious local melons are grown. The dinner will include watermelon and beet salads, a St. George’s cheese fonduta, Trout with bacon and zucchini succotash and basil chicken. 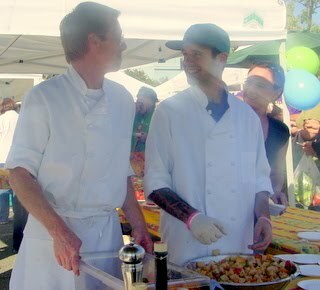 Chefs include organizers John Lyle (Space XXV, Lisa Hemenway’s); Les Goodman (John Ash & Co, Dry Creek Kitchen), Aaron Short (Affronit) and Holly Messing (Jack and Tony’s), along with the help of volunteer SRJC Culinary Students. Farms participating in Chosen Spot will be The Victorian Farmstead, Bloomefield Farms and The Beet Generation. Most of the farmers will be in attendance. Additional dinners will be held on October 15 (a surprise location to be announced) and Saturday, November 12 at The Victorian Farmstead. Each of the dinners is $55 per person, with 100% of profits going to three local projects: The Tree Restoration Project, The School Education Program at Gold Ridge and The Luther Burbank School Orchard Project. For more details and reservations check out Chosen Spot on Facebook or email chosenspotsonomacounty@gmail.com. 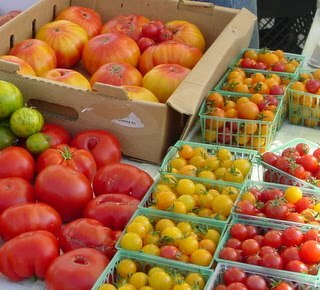 This menu was created with items hand selected from the Santa Rosa Farmer’s Market by Executive Chef, Rene Jakushak. 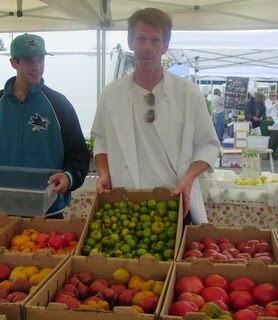 It is a tribute to the freshest and highest Quality ingredients Sonoma County has to offer. 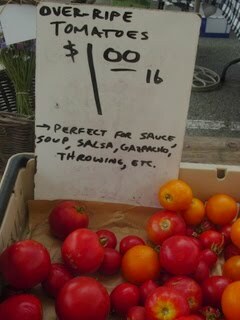 Tomatoes! 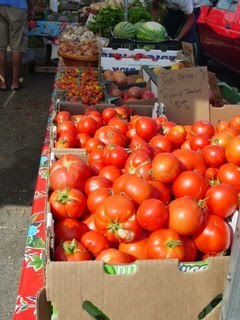 Looking longingly at the big piles of tasty tomatoes at great prices but think canning is a big pain – freeze ’em. 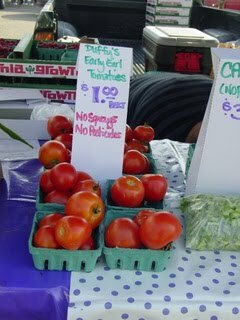 You don’t even have to peel them first.You can also chop, slice or whatever for freezingIf you are willing to go the next step — an easy roasted tomato sauce …also for freezing. 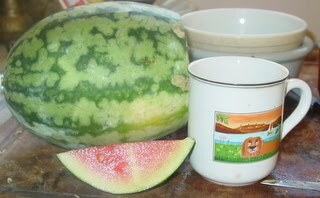 We are having a heatwave just in time for fall, it’s going to be hot enough to ripen the perfect melons. 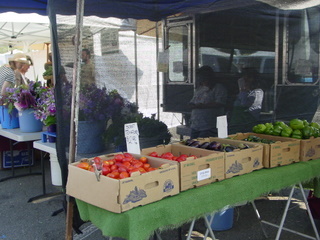 Sweet Beauty at Ridgeview Farm and Crimson Sweet Orchard Farm are small (3-6 pounds) and have great flavor and texture. This is the peak of the tomato season. 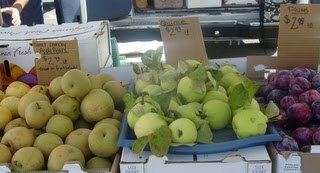 Think about preserving even a couple of quarts for the winter months. Small batch canning is easy and fun. Learn more. 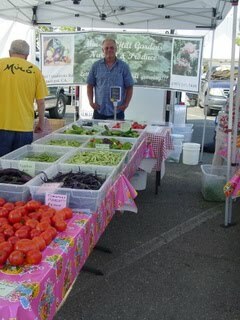 Chef John Lyle Space XXV is getting ready for his cooking demonstration at the market’s Heirloom Tomato Tasting. 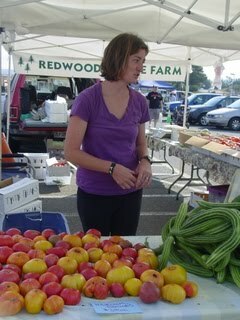 Seen here shopping at The Patch, one of the largest growers of heirloom tomatoes in Sonoma County -Wed/Sat. Will he be doing something with a green tomato or something else. When other markets have been forgot…ours will still be hot! 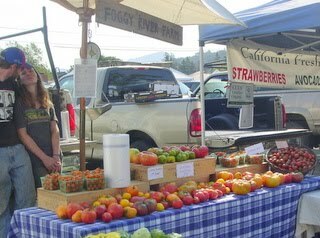 As the seasonal markets wind down for the year, you can still find all your favorite vendors at Santa Rosa’s Original Certified Farmers Market – the county’s oldest year round market. 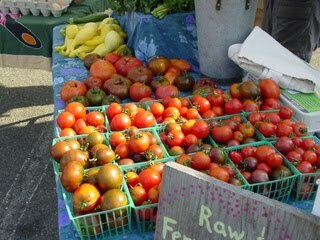 Heirloom Tomatoes A French Twist? 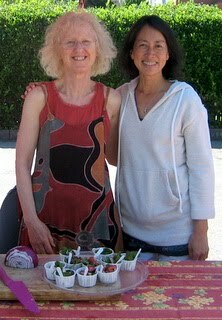 France in the Fall: Chef Christine Piccin is again hosting two classes for Francophiles at Santa Rosa Junior College. For this class, Chef Piccin teams up with Julia Fornage and Carol Stone, French instructors, who will assist you with speaking the language as you prepare dinner, with foods and recipes that reflect the cuisines of the French provinces. Will she add a French twist to the tomato?